Referral marketing has overtaken digital advertising and social to become the fastest-growing and most effective channel for customer acquisition. 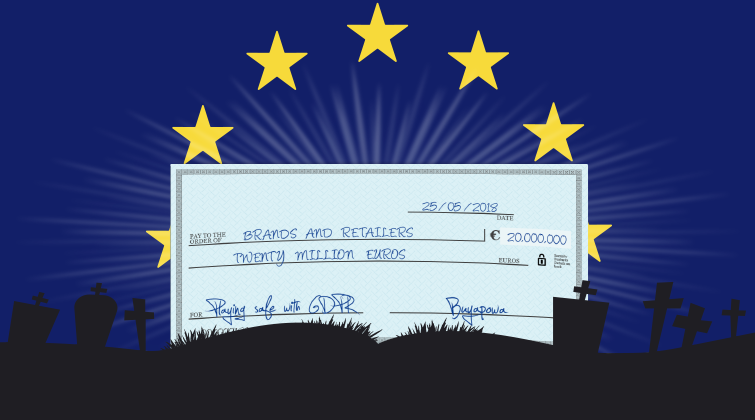 But a new piece of European data protection legislation is set to expose brands which operate old-fashioned referral programmes to eye-watering fines. It’s called the General Data Protection Regulation (GDPR) and, as you hopefully know, it’s something you need to take very seriously. Get things wrong and you could be liable for fines of up to €20m (or 4% of your global annual turnover – whichever is greater). Get things right and you could earn millions in incremental sales, increased basket sizes and greater lifetime value. We’ve produced the mini-guide below to make you aware of how the EU GDPR applies to referral marketing, and how you can quickly migrate your referral programme to a platform that’s 100% GDPR-compliant. We still have migration slots available but, with the EU GDPR coming into effect early next year, time is running out quickly – so get in touch ASAP to make sure you don’t miss out.